Planning a wedding can be challenging enough - you don't need to make the process harder on yourself by falling victim to some of common myths about the planning process! This week, the team at WhereBridesGo.com is here to help you avoid some of these common pitfalls by debunking myths about wedding planning. MYTH #1: You Should Send Your Invitations Extra Early So Your Guests Have Ample Time To Respond. Your save-the-date can be sent out up to six months in advance, but it's a good idea to wait and send your actual invitations once you're only two or three months out. If you send your invitations too early, your guests may set the RSVP card aside and ultimately forget to respond. MYTH #2: If You Were A Bridesmaid In Your Friend's Wedding, You Have To Ask Her To Be A Bridesmaid In Yours. While we certainly understand the urge to reciprocate and invite your friend to be one of your bridesmaids if you were one of hers, but it's important to realize that you do have a choice. Your wedding day should be exactly what you want it to be; if you'd rather not include your friend in your bridal party, you certainly don't have to. MYTH #3: Offering A Choice Of Three Dinner Entrees Is Convenient For Everyone. While your guests may appreciate having a choice, offering multiple options often ends up causing more trouble than it's worth. Guests may want to change their orders at the last minute, and making sure everyone receives the dinners they requested can be complicated and confusing. If you want your guests to have options, offering a dinner buffet may be an easier solution. MYTH #4: Having Your Wedding At Home Can Be A Great Way To Keep Costs Down. Getting married at someone's home can be incredibly special, but if you're simply searching for ways to keep costs down, you may need to keep looking. While you'll save on the venue costs, at-home weddings require several other expenses. Table and chair rentals, portable restrooms, and cleaning fees are just a few of the extra costs you'll have to cover if you choose to get married at home. MYTH #5: If You Plan Carefully Enough, Everything Will Go Perfectly. If you expect everything to go perfectly, you're setting yourself up for disappointment. Even the best-planned weddings will inevitably have something go awry. The sooner you can accept that nothing will go absolutely perfectly, the sooner you will be able to relax and simply enjoy the planning process. MYTH #6: If Your Venue Has An Event Coordinator On Staff, You Won't Have To Hire A Wedding Planner. Event coordinators that work for specific venues can be wonderfully helpful, but they won't be able to do all of the things that an actual wedding planner could. 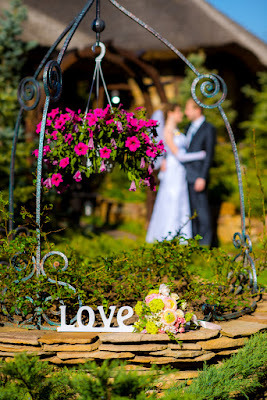 Your on-site coordinator is limited to helping you with your venue, whereas your actual wedding coordinator will be able to help you with all aspects of planning your wedding. White wedding dresses are traditional in the United States, but that doesn't mean that you have to go that route. More and more brides today are adding colored accents to their white wedding dresses - or opting for colored dresses altogether. Your wedding day is all about YOU; you should feel free to choose the dress that perfectly matches your unique personality. Get Your Wedding Planning Accessories at WhereBridesGo.com! If you're looking for bridal accessories, wedding accessories, gifts for your bridal party, or anything else related to planning your wedding, be sure to check out WhereBridesGo.com! We have a complete selection of gifts and accessories that you're sure to love. Use coupon code WHATBRIDESLOVE to take 15% off your entire order!